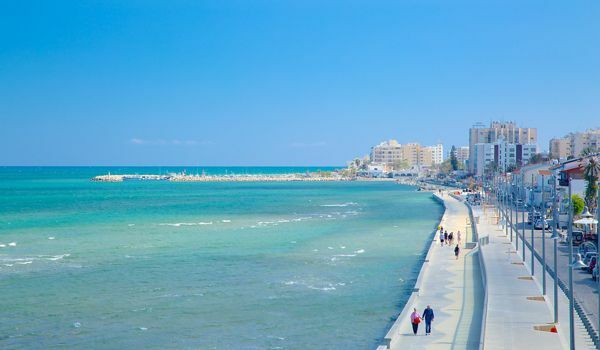 Larnaca on the southern coast of Cyprus is the third-largest city in Cyprus, after Nicosia and Limassol and is an area of outstanding beauty. The coastline of Larnaca with some of the islands most outstanding beaches is probably the biggest attraction for people wishing to buy a home here. Some of the famous beaches of Larnaca are Phinikoudes, Alaminos, Castella, Mckenzie, Ellinas and Yannathes. For relaxation and enjoyment there are a lot of bars, pubs and restaurants situated along the Palm Tree lined seafront. Sailing, boating and other marine activities are a part of local life and culture and the Marina at Larnaca is a place to discover a whole host of nautical adventures. There are organised boat trips around the bay and a marina in front of Phinikoudes, a palm tree lined promenade with many restaurants, cafes, bars to choose from. Water sports, diving and snorkelling are popular in Larnaca. Makenzie, Pervolia, Phinikoudes and Dhekelia beaches are famous for scuba diving, jet skiing, canoeing, kayaking and fishing. Whatever type of property you are looking for, we can find a home to fit your lifestyle and budget. Call us now and take the first step towards finding your holiday home in Larnaca. We are a family run business specialising in advising and assisting buyers of properties on the stunning island of Cyprus. Melkava understand that buying a property abroad can expose buyers to risks such as fraud and inability to secure title deeds, even after purchase. Find your perfect property in Cyprus, search a wide range of properties for sale in Cyprus with Melkava. ‎Your reliable partner in properties & business investments in ‪‎Cyprus‬ before you invest in Cyprus speak with us. A wide range of international property to buy in Cyprus and Greece with Melkava. Explore houses, villas and apartments in Cyprus and Greece.